HUMANS… We are analog in nature, we think, reason, laugh, cry, touch and love. The Digital World is not analog, it does none of these things. Vision Control interfaces the digital world to analog people. Our mission is to make technology work for humans not the other way around. Technology is a tool for humans, much like fire or the wheel, it’s to work for humans not control or impede them. Vision Control’s primary goal, make technology enhance the quality of life. Technology that saves money, energy, time and makes life better. We are your Digital Media Experts, Transporting Video/Audio and Data over networks and Wireless. Our Technology team will get your out of control technology under control. Let us help realize your vision! From a basic peer-to-peer network to a server based network, proper planning and installation are key to a well secured and efficiently operating system. Challenge – Keep Sports Book and all Casino Televisions Operational during HD upgrade of Head End for Sports and Racing. Vision Control Associates installs Super High Resolution LED screens at the Atlantis Casino in Reno, Nevada. Las Vegas Nevada – VCA provides Bakery show clients with imaging solutions. 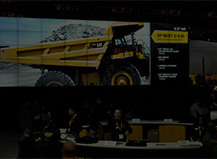 Our customers attracted and informed customers using our video displays and interactive technologies. Sparks Nevada - Vision Control Associates was happy to be selected to integrate Bourbon Square Casino's Audio technologies and projection video switching systems.